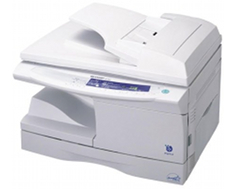 The Sharp AL-1631 is suitable for small, work groups or offices. The printer offers a copy speed of 16 pages per minute with 600 x 600 dots per inch, scan, and printing capabilities. The Sharp AL-1631 will be a wise choice for budget-conservatives. While the printer is budget-friendly, the printer presents realistic expectations for a home-office or a private office. The key features and simplicity of the Sharp AL-1631 are the most notable aspects of the printer. The digital laser ensures image quality. The document feeder can handle 30 sheets for automatic copying. The single scan system allows the user to print several copies of a scanned document. The exposure mode can be worked with auto, photo, and manual. Digital automatic exposure control lets one analyze the content of a document for exposure adjustment automatically. The printer is budget-friendly to run, while offering the owners a suitable copy quality, decent options, and scarcely any glitches. The total volume of sheets the tray can hold is 250; in addition, there is one 50-sheet bypass tray. The printer can handle diverse media types: plain-paper, labels, envelopes, transparency film, and thick paper. The minimum size of media the printer can efficiently print/copy is 3.5 x 5.5 inches, and the maximum is 8.5 x 14 inches. The resolution of 600 x 600 dots per inch is general in the prints, copies, and scans. A zoom range of 25-400% is available for focus-specialized prints. The warranty-plan is comprehensive with a one-year limited warranty that will restore underlying hardware components. If the printer experiences a malfunction, just ship it the branching Sharp division, and they will either fix it or replace it. The Sharp AL-1631 only weighs around 41.91 pounds; one should not have too much trouble moving the printer around. 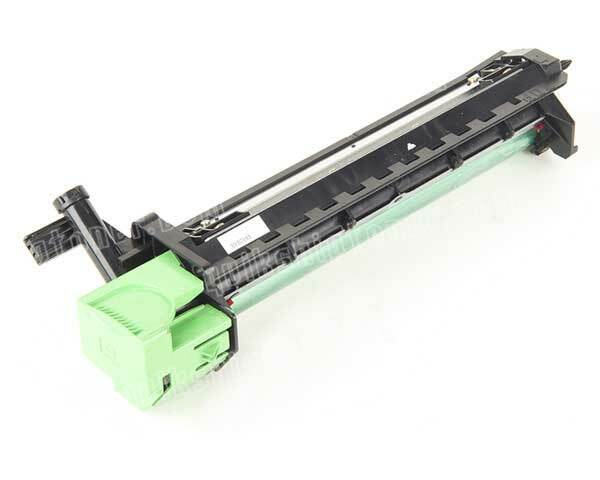 The package comes with a drum cartridge, black toner cartridge, operation manual, and a power cord; they are all the essentials you need to get the device operating. The printer is ideal for simplicity. Sometimes simple is more. If you need only the basic print, copy, scan jobs, and nothing more, this will be the ultimate printer for you. The Sharp AL-1631printer/copier is known to dished out curled paper while making copies or prints. The printer does not employ a computer interface, which is preferred by most consumers. Businesses who want challenging activities in paperwork will not be accommodated properly with the Sharp AL-1631. If you intend to produce around 100 pages per day, this may not be the tool you want. The start-up time may not be appropriate for some small offices. No networking capabilities are optional, and the printer does not hook up to the computer for expanded options in print jobs. It is unclear how much wattage the printer will expend on a daily basis; the power requirements of the printer is 120 volts, which equals 3,600 watts. It does not make sense for the requirements to be 120 volts when the maximum use is stated to be 1000 watts. Unfortunately, there is no duplex option or capability. The 2,000 pages recommended duty cycle per month is exceedingly low volume. For a printer that costs an estimated $350, the printer fails to meet the expectations of common business practices. There is no color capability in printing or copying documents. While the printer is Energy Star qualified, the printer can run up 1,000 watts maximum, which can hurt the bottom-line of one's practice. The memory capacity of the device is only 8 Mega Bytes. Considering the printer's limitations, 8 Mega Bytes is all you need to get the essential operations completed. Review it: "Sharp AL-1631 "
The requirements for the Sharp AL-1631 are consumables for the AL1000 series. 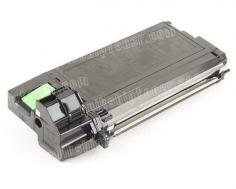 The Genuine Black Toner cartridges each has a capability to yield 4,000 pages. The High-Capacity Toner yields 6,000 pages. Drum cartridges provide approximately 18,000 pages.